Would you like to predict when and where mature buck travel will take place, often months in advance? Well, there is a great chance he has probably already told you his exact travel plans for this coming season. But have you listened? Like an aging old man, the older he becomes the more you should pay attention and respect his words, because they come with a level of experience and wisdom that many years have created. 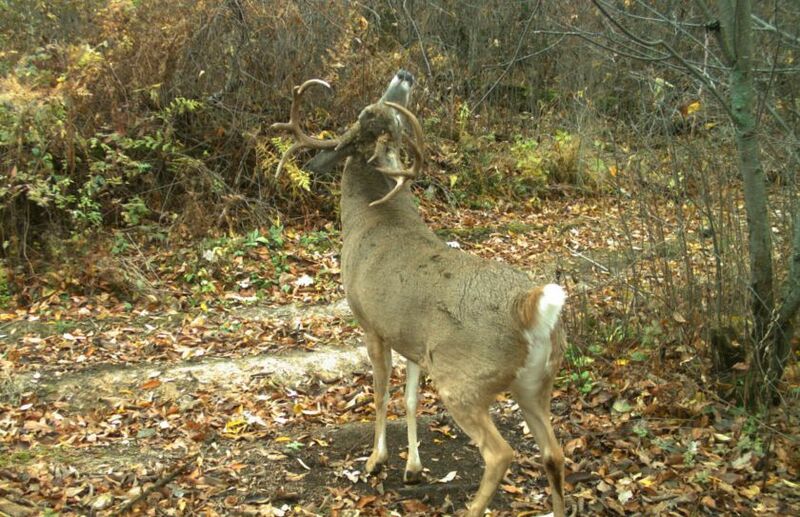 Mature bucks are highly predictable. In fact, in my experience the older they grow, the more predictable they become. The only problem is that with age, comes wisdon, experience and a tolerance level of hunter contact that is incredibly small. It doesn’t matter if it is the slightest scent, sound or glimpse of a hunter; a mature buck doesn’t like it! He will often head for more friendly pastures as fast as his wary legs will take him. However if you take the impact of the hunt out of hunting activities, you are left with a highly predictable creature who’s travels can be taken advantage of if you learn to read his signs. Mature buck travel patterns can be deciphered, in particular if you rely on past data to predict future results. I personally like to rely heavily on 3 scouting methods to predict a future buck encounter, including: Buck sign, hunter observations and trail cams. *Keeping a great inventory beginning as soon as you can identify a buck is a necessary practice! If you haven’t already, try using a buck inventory and pattern system like DeerLab! If you can answer the question of which type of tree the buck you are after prefers to rub, you will be ahead of the game. However, if you can explain which tree that he likes to rub within a certain movement from bedding to feeding, or on a particular cruising funnel, then you are beginning to take it to the next level. Finally, if you can decipher which track is his within a travel route that features his favorite rubbing trees, well then; you have arrived! Reading sign for a particular mature buck takes a lot more than finding some giant rubs along a particular funnel, cruising bench or travel corridor. Instead, reading sign involves knowing which sign a specific buck laid the previous year or possibly years. Having several potential bucks to hunt in multiple corners of the woods is a great tactic, even if you aren’t sure if they are still alive from the previous season. Without spending a lot of boot time or even spreading a pile of trail cams, you can simply use the current sign to reveal if a mature buck is still around. Even a clean track that can fit my index, middle and ring finger within, is a great start! But when the same tree species and even the same trees experience the same rubs as the year before, it warrants a sit or two to confirm if he is still in the area. Although previous year’s in-stand encounters are an outstanding way to predict future mature buck travel patterns, they sometimes aren’t the most reliable. If a mature buck knew where you were the year before, you can bet he will be ready the following year for you to be perched at the same time, in the same spot. 7 and 8 year old bucks I had the pleasure of getting to know over the course of several years, turned into hunter avoiding, super-buck extraordinares! It wasn’t until we turned to hunting completely new treestand setups, that we experienced opportunities with a bow. Some of my most successful and predictable hunts took place after observing bucks for 2-4 years. Bucks that began as two or three year olds that offered the opportunity to pass on multiple times, turned into shooters that I had hunted without being detected for years. By using sign and previous encounters as future potential mature buck travel encounters, a buck’s exact location can be pinpointed with an extremely high degree of accuracy. To point out that using buck sign and hunting observations to predict future mature buck movements, is highly important and appropriate to do. 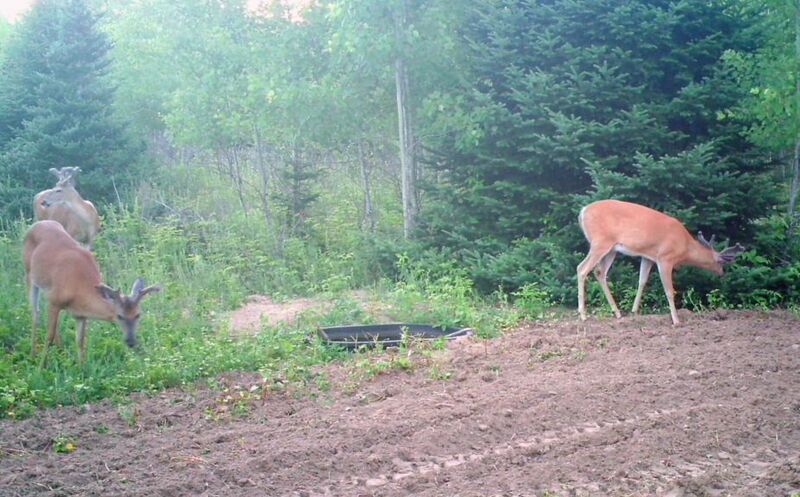 However, to say that using trail cams to forecast future success would be a gross understatement. There are several mature bucks that I have been able to harvest, after collecting less than 10 pictures combined over 2 years or more. Those are the ghost bucks. Those are the bucks that live on someone else’s land, and those are the bucks that reveal 1 photo a year but can be counted on to return at the exact same time. 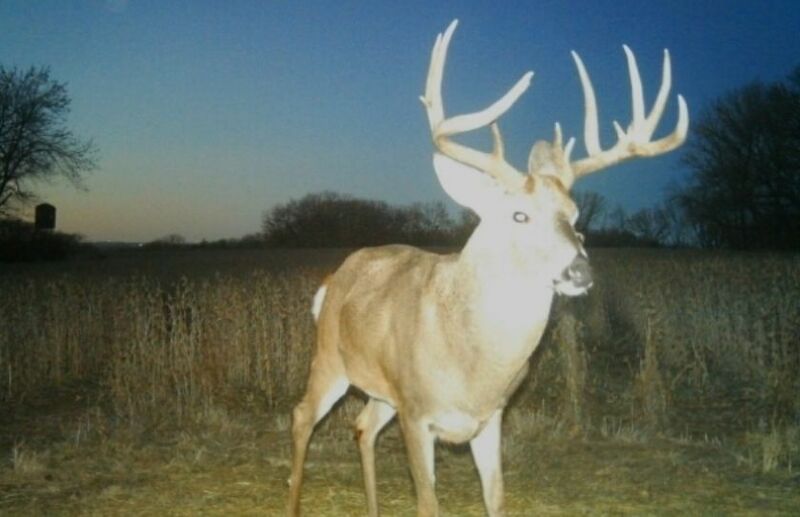 Of course collecting many pictures over the course of a season can really help you narrow down a particular buck, but relying only on 1, 2 or 3 pictures can also pay huge rewards. Let’s face it, many mature bucks that you may eventually have the opportunity to harvest, live somewhere else. They will not be on the land often, but they will be on the land eventually. “Eventually“, typically means during the Peak or Post Rut, opening day of gun season or during late season feeding conditions. 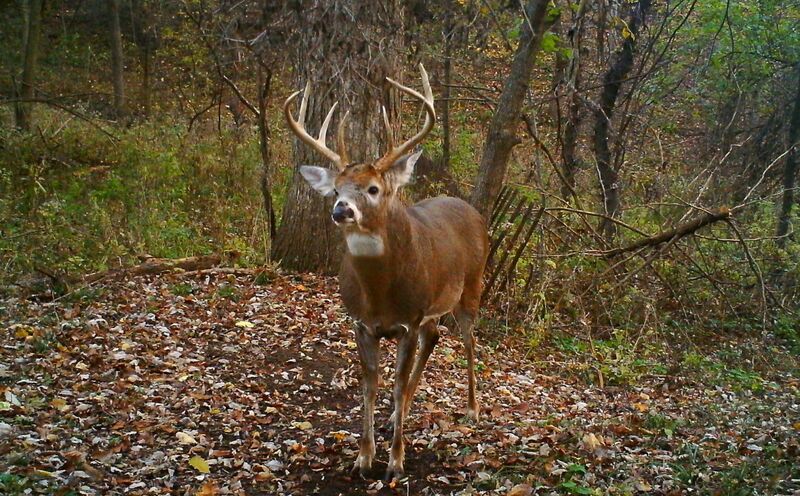 If a buck has appeared during those periods of the year, he is doing his best to tell you that he will be back, even if it is only in 1 trail cam photo in the form of a subtle whisper. In fact I believe that the older he is, the more reliable his subtle whisper will become. *What personality does the buck you are after reveal? It is important that you take the time to get to know the old brute you are after on a personal level, and one of the best ways to do so is through Proper Trail Cam Placement. 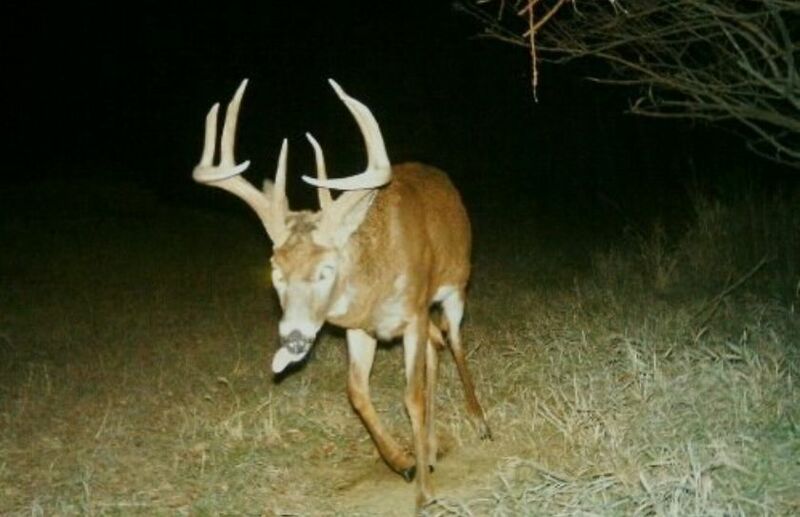 Do you have any old mature bucks that have been speaking to you for several years? It’s time to listen. Whether it be tracks, rubs, sightings or even a single trail cam picture the words may be soft, but come with an extremely high level of credibility that should never be missed. Often we as hunters rely on a heavy dose of buck sign and travel forecasts that a first year hunter could easily discover. However, to experience the consistent annual ability to successfully predict mature buck travel patterns, paying attention to the subtle details will carry the most weight.